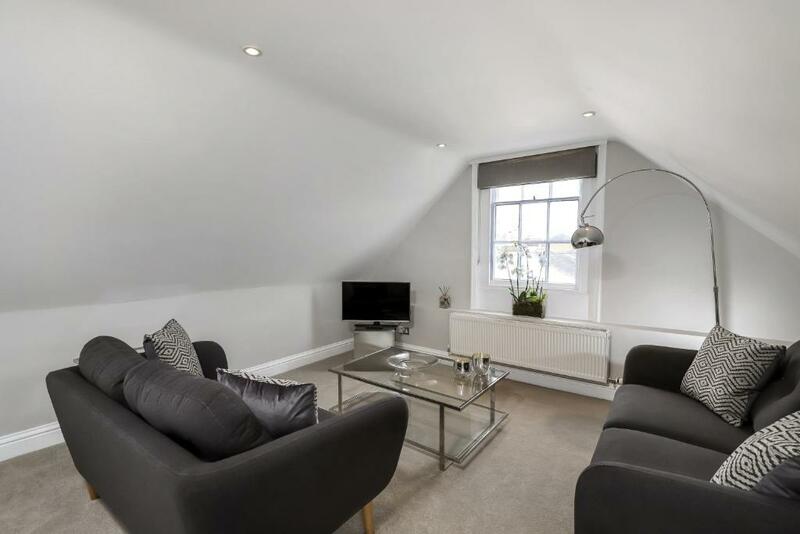 Located in Winchester, 1.1 miles from Wolvesey Castle and 1.4 miles from Winchester Cathedral, Gorgeous Apartment in the centre of Winchester provides accommodations with amenities such as free WiFi and a flat-screen TV. 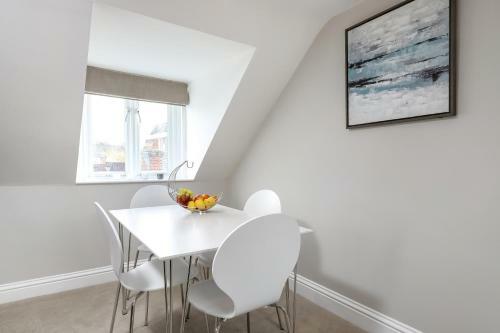 This apartment is a 4-minute walk from Winchester School of Art and 0.7 miles from Winchester City Council. The apartment features 2 bedrooms, a kitchen with a dishwasher and a bathroom with a bath or shower. Winchester Christmas Market is a 14-minute walk from the apartment. The nearest airport is Southampton Airport, 12 miles from Gorgeous Apartment in the centre of Winchester. 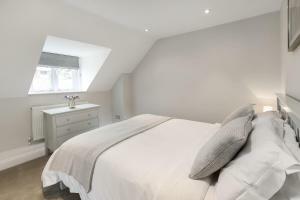 When would you like to stay at Gorgeous Apartment in the centre of Winchester? 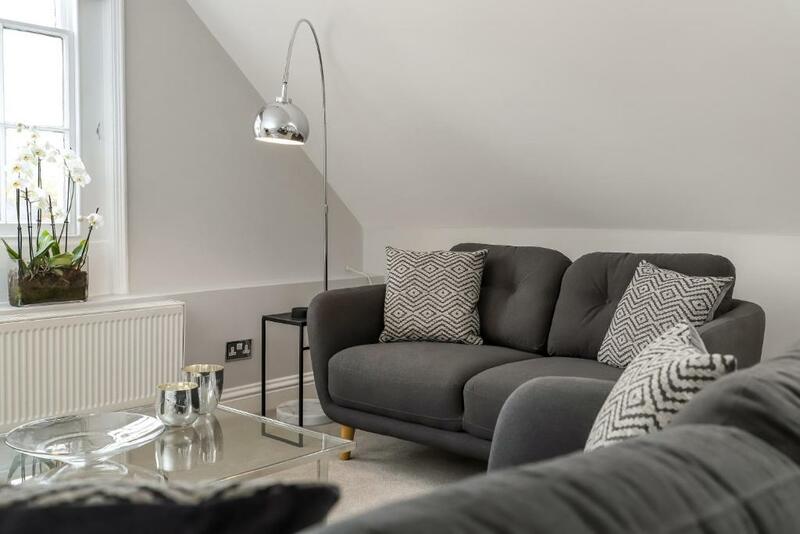 Your apartment is in a beautiful Grade II listed former schoolhouse, recently renovated with a new contemporary interior. 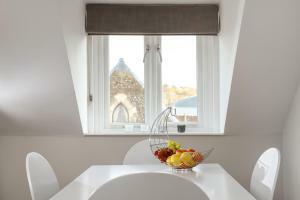 With wonderful views from every window, it is bright, airy and comfortable and only 200m from Winchester High Street. A quiet sanctuary that is the perfect place to explore everything Winchester has to offer. There is also a parking space for your use which is unusual in the heart of town. The bright and spacious apartment has a sitting room with comfortable sofas, TV and a dining table. There is a fully fitted kitchen with a dishwasher, oven, hob, fridge and freezer. There are two comfortable bedrooms each with a chest of draws, a large bed with luxury bedlinens, a bathroom with White Company towels, a bath and shower. There are many local cafes, bars and restaurants, and great shopping. There is a local theatre and Everyman Cinema. There are lovely strolls through the city to Cathedral Square or along the river and into water meadows. 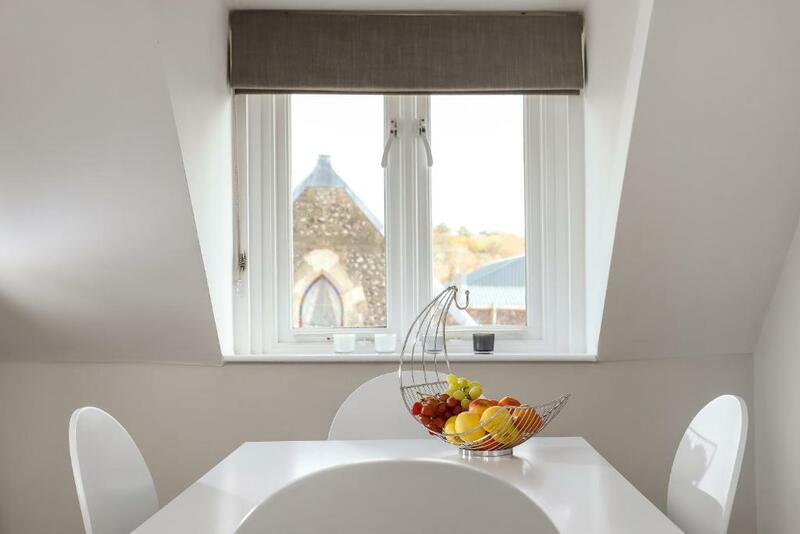 Take in the many historic sites of Winchester itself or take a trip further afield to the beautiful South Downs, New Forest or the Isle of Wight. House Rules Gorgeous Apartment in the centre of Winchester takes special requests – add in the next step! We need at least 5 reviews before we can calculate a review score. 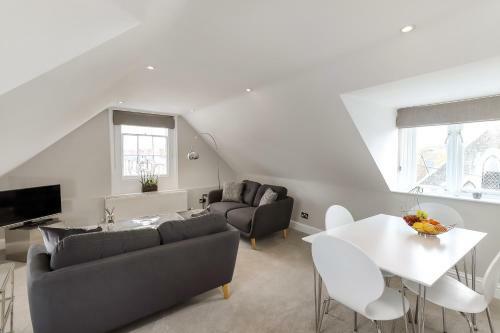 If you book and review your stay, you can help Gorgeous Apartment in the centre of Winchester meet this goal. A mirror in each bedroom would have been nice. The only mirror in the apartment is in the bathroom. Also a microwave would have been useful (although I realise it is a small space). 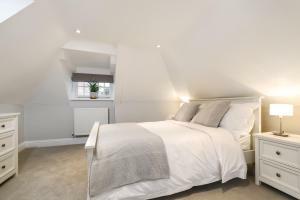 Brilliantly located, comfortable, clean and had milk and croissants in the kitchen on arrival. Lovely views across the rooftops. Great to have a Nespresso machine with pods. 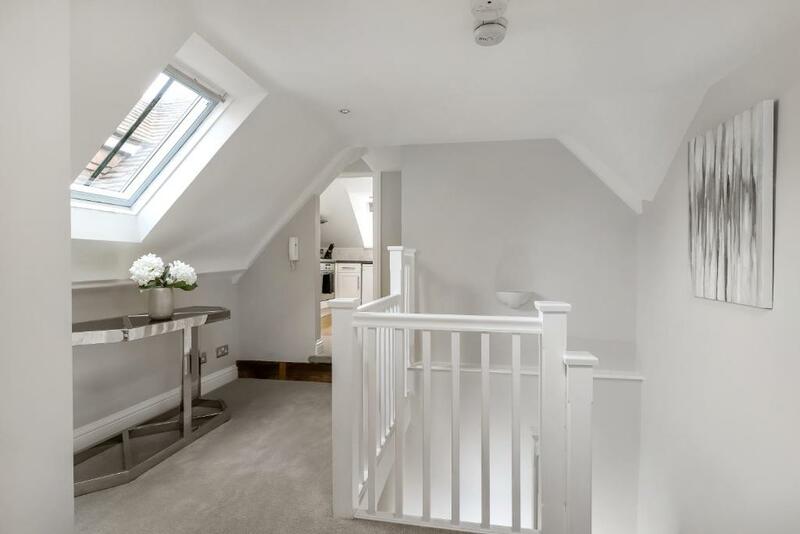 Tasteful decoration throughout.